Keep the trees at your home or business in Mooresville healthy and happy with our tree care tips. Trees have been around for a very long time, so you may think that they can take care of themselves, but there are things you can do to improve the health and vitality of your trees. If you want trees that are stronger, grow faster and are more beautiful, we can help with our tree care tips. Here at Top Notch Tree Services, we are committed to providing comprehensive tree care to our customers. We serve residential and commercial customers throughout the Mooresville, North Carolina area. 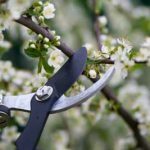 Our tree care tips may vary depending on the season and weather, but if you are looking for seasonal information about pruning, planting or more, give us a call. We can also advise you about what kind of trees to plant based on your lot size, location of utilities, soil type and more. If you are concerned about possible tree diseases, we can examine your trees, as well, and give you recommendations about how to reduce the likelihood that you will have trouble with fungal growths and other common tree problems. We can provide tree care tips during the performance of our other tree services, including trimming, pruning, tree and stump removal, lot clearing, and storm damage cleanup, as well as tree restoration. We want you to be happy with the appearance of your home or business, and trees are a big part of that. We can also periodically clear areas to allow you to have a more scenic view from your property. If you are looking for tree care tips or need other tree services, give us a call today.